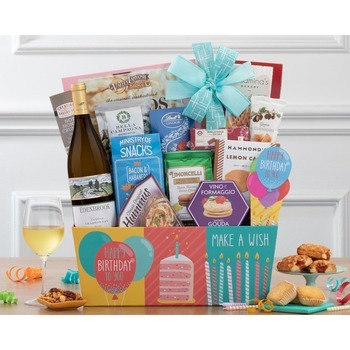 Crisp Vintners Path chardonnay makes this wine gift basket special. 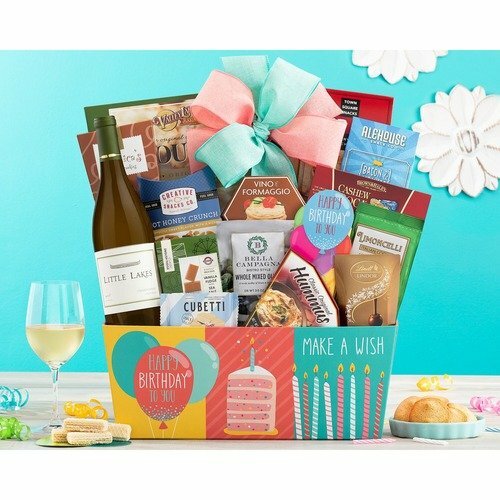 A large collection of Popcornopolis caramel corn, Godiva chocolate truffles, Italian garlic crackers, cheddar cheese straws, smoked gouda cheese spread, hummus, dried fruit and nuts, cookies and more complement this California chardonnay. * I have ordered flowers from them for several years. Every experience has been a good one.